Ping Pong Parlour project nominated for awesome award! Broad St. Mall has been home to a Ping Pong Parlour since June 2018, where you’ve been able to enjoy a game of table tennis, completely free, whenever you like, ever since. The BT Sports Industry Awards is the most prestigious commercial sports awards in Europe – with the Awards Ceremony taking place on Thursday 25th April at Battersea Evolution in London. It will be a star-studded event attended by 1,700 high profile guests from the British and international sport industry including business leaders, celebrities, sporting legends and media. 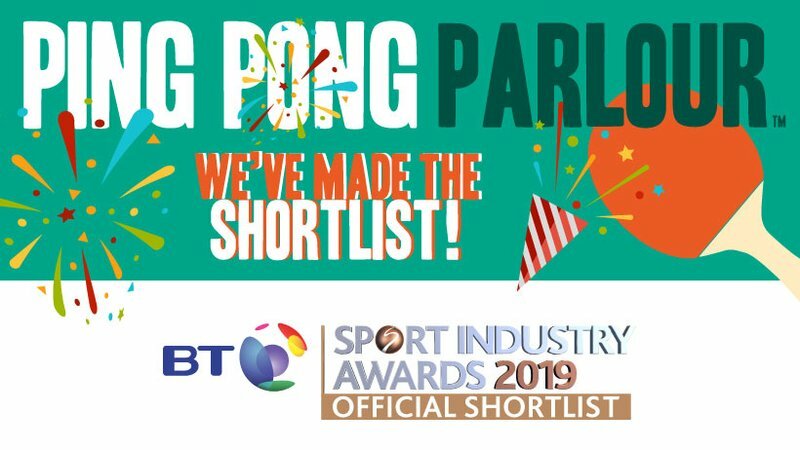 Ping Pong Parlours have been shortlisted in the Active Award alongside British Cycling, Park Lives, London Landmarks Half Marathon, npower – Superhero Tri and the FA People’s Cup. Acknowledged, not only for encouraging people to lead more active lifestyles and getting active, the Ping Pong Parlour has also been recognised for its social contributions – encouraging individuals who may have previously been socially isolated, to find friendship over a game of table tennis. 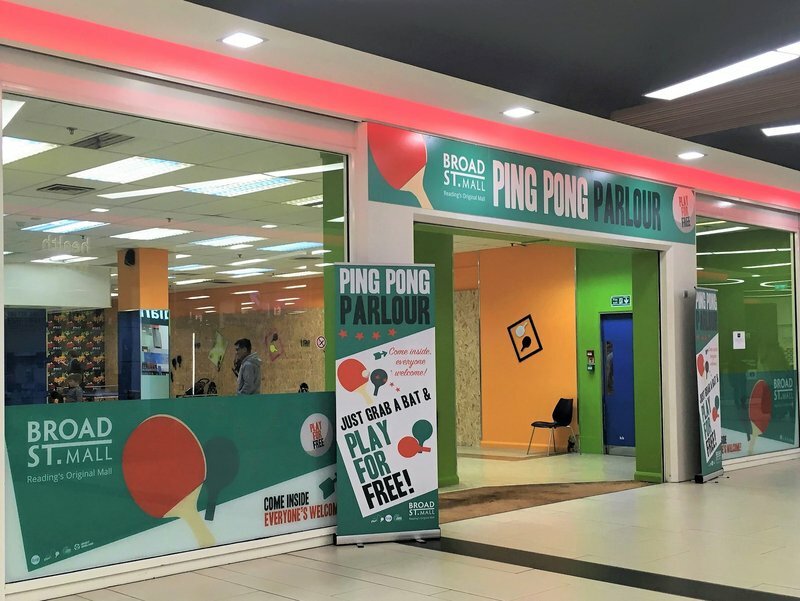 The Broad St Mall Ping Pong Parlour has recently undergone a refreshing refurbishment and redecoration and can be found on the ground floor, opposite Holland and Barrett. It is open from 9am – 5.30pm Monday, Tuesday, Wednesday, Friday and Saturday, 9am – 7pm Thursdays and 10am-5pm Sundays for anyone to come and play.